Casa De Maria Hotel i Nazareth, Israel: Reservér nu! 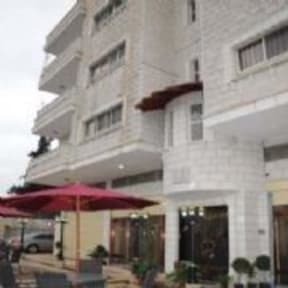 The Casa De Maria Hotel commands a prime site in the most desirable location in Nazareth city, across from Basilica of the Annunciation, inside the historical old city. 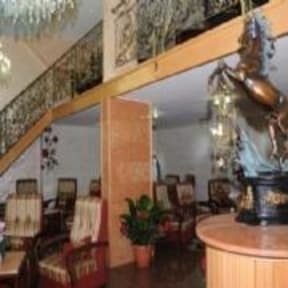 The city holy sites and cultural attractions are just minutes walking distance from the hotel. Whether your goal is business, relaxation or a superb blend of both, the Executive Lounge offers a relaxing and inviting setting perfect for business people and their guests. Furnished as a private club with soft carpeting, plush lounge furniture with fabric by Fendi, quiet seating areas and inspiring views of the Old City, our exclusive Executive Lounge offers a breakfast buffet in the mornings, light dinner and open bar during the evening, complimentary internet, fax and printing services, cable TV and a selection of newspapers and popular magazines from around the world.